How Important is PA Program Length? 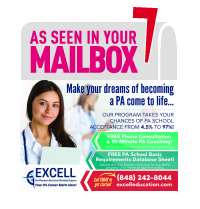 It seems like many PA programs are increasing the amount of months it takes to complete their curriculum. The average PA program length has increased to around 26 months, with some spanning 36 months or more. While some may argue that the quality and depth of PA training will increase with more program time, this approach isn’t necessarily true. Longer program lengths do allow for additional training and projects, but they also come with some negative consequences. A longer program means increased institutional costs. These institutional costs end up being passed on to the students via higher tuition or additional fees. A longer program also means a longer time spent paying for housing and living expenses, which can affect the total amount of loans a potential PA needs to take out to afford the program. With these factors combined, a longer program may do nothing but increase your total amount of debt, without doing much to sharpen your skills as a PA or give you a head-start on entering the job market. Its common sense that the longer you spend in school, the longer it will take for you to enter the job market. Adding an additional 6 to 12 months to a PA program essentially stops you from applying to any openings within that timeframe that graduates from other, shorter programs are eagerly applying to. While PAs are coveted and job openings can be found nationwide, it can be difficult to see other recently graduated PAs with comparable skills to yours begin their career while you wait to graduate. As programs get longer and new programs are created, clinical training sites are in short supply. This means that more and more students are vying for the same clinical training positions, making the competition fierce. While this can help motivate some of the more competitive PA students, it can be a real negative for students who are motivated by collaboration rather than competition. Practicing PAs make a very good living, so it can be difficult to find experienced PAs to serve as faculty. As programs expand or increase their curriculum length, these faculty members are being stretched thinner and thinner. As schools find less experienced faculty to fill in the gaps, students end up learning from whoever is available rather than the best PAs possible. One of the best ways to judge a successful program is by its PANCE pass rate, not by the length of the program. Many of these extended programs tend to focus on projects or didactic classes rather than increased clinical time, and may not be the best use of this time when preparing for a job in the PA field. Studies have shown that shorter PA programs can consistently obtain the same pass rates as longer programs, so the additional time spent in school may be unnecessary. If you want to avoid higher debt, strained faculty, highly competitive rotation sites, and a delay on starting your career, try to keep program length in mind when researching schools. For some students, a longer program can fit their learning style very well, especially those that are transitioning from a completely different occupation that would prefer to have extra prep time. Regardless, don’t let any programs or alumni fool you into the false sense that a longer program is better, because it simply is not true.